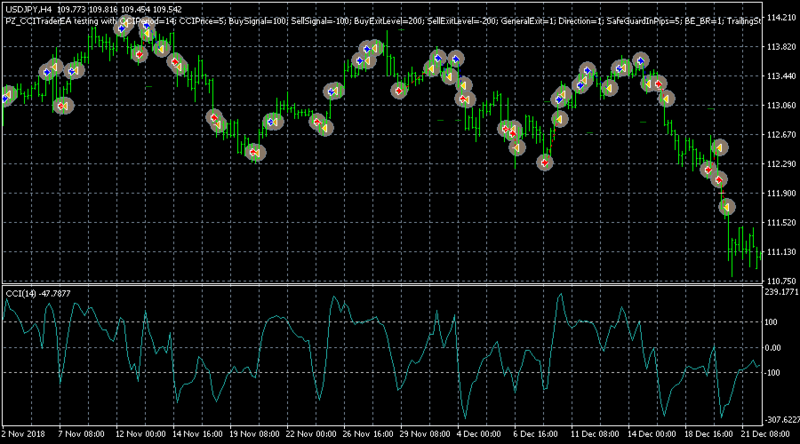 This expert advisor trades using the CCI Indicator and offers many useful features to customize your trading activity. It will generate profits during trending markets and suffer during ranging markets. This EA will not generate profits under all market conditions and does not claim to do so. It is your job as a trader to find the best parameters for each symbol and timeframe you wish to trade using the tester. Enter your desired CCI input parameters, as well as entry and exit levels. 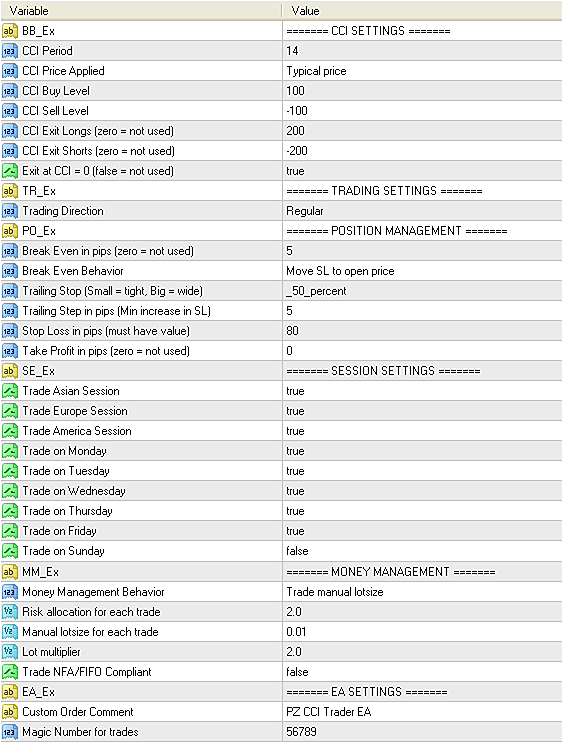 This group of settings applies to trading decisions and trade management. You can select trading direction, break-even in pips, break-even behavior, trailing-stop in pips, trailing-step in pips, stop-loss in pip and take-profit in pips. Select trading direction: regular, inverse, only long or only short. Enable or disable trading for the Asian, European or American sessions, as well as trading week days. Yes, it is. Set the parameter called NFA/FIFO Compliant to true.